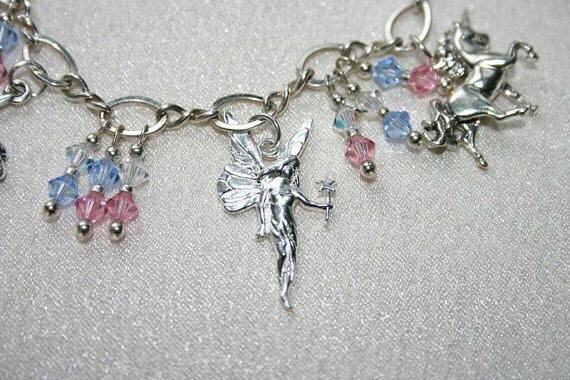 This is a darling "ONE of a KIND" designed by Darna Sterling Silver Charm Bracelet. 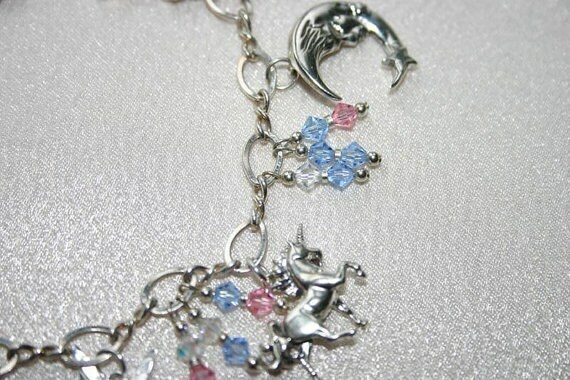 I named it "Fantasy" because of the Pegasus, Unicorn and Fairy charms. There's also moons and stars. 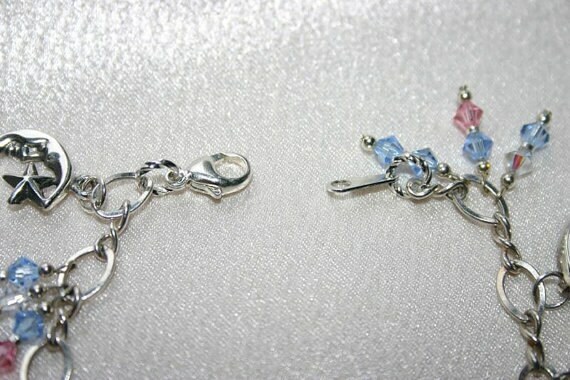 All of the charms, bracelet and findings are sterling silver. 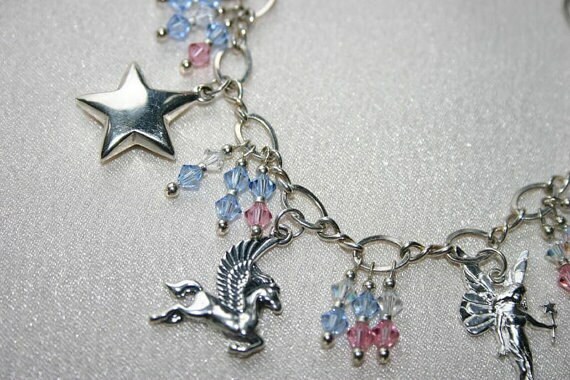 The bracelet is accented with tiny Aurora Borealis Swarovski crystal bicone beads in pink, blue and clear. 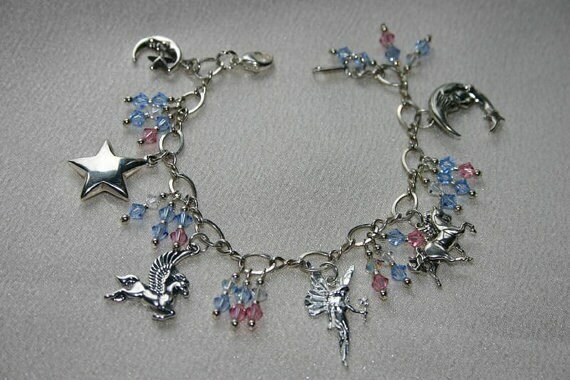 This is a really sweet bracelet; perfect gift for graduation or birthday or just keep it yourself!